In a Granville Home, you’ll find unique floor plans and amenities that work in harmony with your personal vision – because we believe you should spend your life at home, not working to pay for it. Quality, Experience, Detail. As a trusted name in custom home building, Disney Custom Homes has been crafting beautiful homes in the Triad North Carolina for over 30 years. J Douglas Homes offers a variety of customizable floor plans to choose from, allowing our buyers get exactly what they want in a home. Many upgrades are included in the price of our homes including hardwood flooring, granite, kitchen backsplash, crown molding, and more. We can also build a custom plan you love on your lot or in one of our approved communities. Joe’s vision is to build homes with flexible floor plans, in desirable locations, that reflect the customer’s lifestyle, at prices that offer buyers the most value for their money. He realizes that a home is the largest investment families will ever make, and values the trust his customers place in J Douglas Homes above all else. Joe and his staff quickly develop a great rapport with all of his clients, ensuring that they have a positive homebuilding experience from beginning to end. 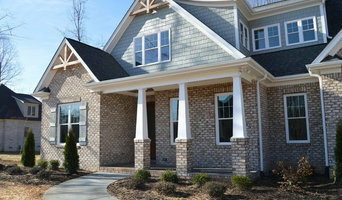 J Douglas Homes was designated 2010 & 2012 Builder of the Year by the High Point Area Home Builders Association. Joe has been a member of the association since 2001, and has twice served as President (2010 & 2012). Many of the homes he has built have been featured in the High Point/Greensboro Parade of Homes, recognized for the level of detail and customization he offers in his price ranges. What’s the most important step in building a new house from the ground up? Many people would say it’s choosing the right Colfax home builder. Constructing a new house is a huge and multifaceted undertaking, so it’s important to find custom home builders in Colfax, NC you can trust to bring your vision to life, as well as keep the process under control from start to finish. 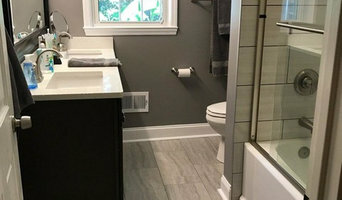 Although a construction job is never without surprises and challenges, a Colfax, NC home builder who’s a good fit for your specific project will make these far easier to handle. For Colfax residential home builders who also act as developers, the job starts well before the first nail is driven. They perform local market research to determine whether the prospective homesites make sense in the Colfax, NC market, as well as survey the land on which the house will be built to make sure it is suitable for construction. Custom builders also obtain the necessary permits. A good custom home builder in Colfax, NC has skills that go far beyond construction — he or she must supervise subcontractors and artisans; keep tabs on local zoning regulations, building codes and other legalities; inspect work for problems along the way; and perform dozens of other roles that are essential in building a quality house. Here are some related professionals and vendors to complement the work of home builders: Interior Designers & Decorators, Landscape Architects & Landscape Designers, Architects & Building Designers, Kitchen & Bath Designers, Specialty Contractors. House builders are responsible for ensuring that the home-building project sticks as closely as possible to the specified timetable, particularly in the event of change orders. 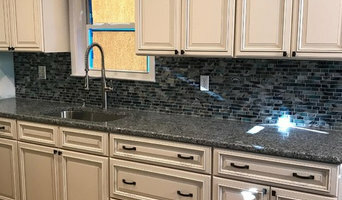 Custom and luxury home builders in Colfax, NC also need interpersonal skills to deal with clients of all types, soothe frazzled nerves, negotiate conflicts and resolve problems. 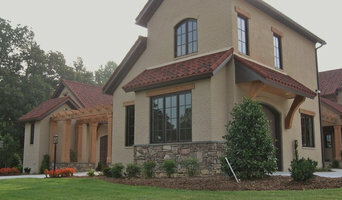 Find custom home builders in Colfax, NC on Houzz. 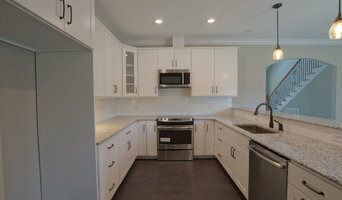 Narrow your search in the Professionals section of the website to Colfax, NC home builders. You can also look through Colfax, NC photos to find a house you like, then contact the builder who worked on it.